My condolences to all who knew and loved him. I saw him with Into Eternity twice. Both were great shows. I always thought he had the best death growls. Was also kinda hoping he would come back to the band since he did guest vocals on “Sandstorm”. It was not ment to be I guess. I hope his soul finds peace where he is. “Buried Into Oblivion” was my Personal Into Eternity Drug! this Album is still awesome after all those years since it’s release. Wow. Not long ago I asked him a question if he was returning to making songs for Pericardium. That’s another legend down this year. Rest in Peace, Rob. I met Rob twice, once in Chicago when they played Joe’s on Weed St., and once in Rockford, IL, and both times he was like Ronnie James Dio cool. The whole band had the flu and they still played. As soon as the last song was finished the drummer came over to this trash can by me and heaved his guts out. For that dude to play that fast and with the flu, talk about a trooper. Anyway, Rob was completely down to earth and fun to talk to, and generous with his time. The Rockford gig didn’t have the best turn out, and we all know how bands struggle just to make ends meet and at the time, gas was $4 or more a gallon, so a buddy and I gave Rob an extra $50 so they could gas up their RV or get a good dinner. Man, what a bummer it is to find out he passed. He had a genuine good soul about him. I hope I see him jamming on the other side one day. You will be missed my friend. 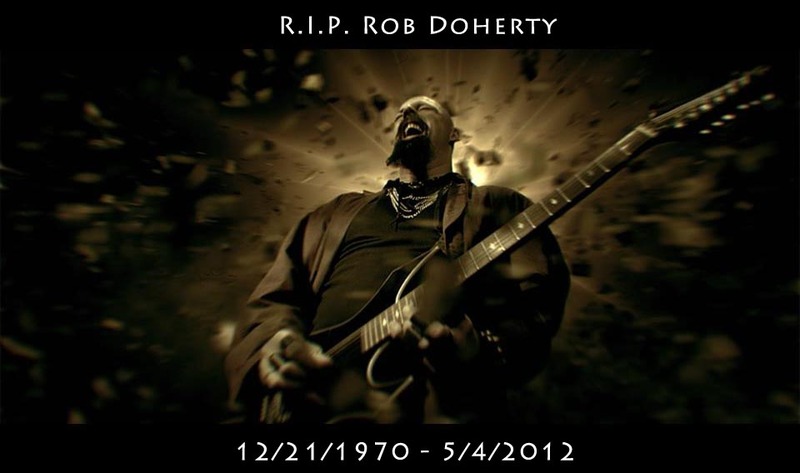 went to watch some videos of one of my favorite bands on youtube and was shocked when i read of Robs death. i met him after into eternity played a show at the pound in san fransisco. rob was great guy, he must have talked with my friends and i for atleast 20 minutes. he didnt have to, but he did. just a great guy and im sad to read of his passing. Very saddened to here of this . . . my condolences to the family, friends and listeners of this incredible musician — of this incredible person. Not only did all of you sign autographs for me but we got to hang out and share a few beers at a St. Louis, MO show a few years back — you all are some of the most down-to-Earth, genuine people I’ve ever met. And I will NEVER forget that show because you guys received nearly 5 minutes of applause . . . FOR YOUR SOUND CHECK! Thank you for the great memories, the beer, and the music. I must now blast ‘Buried Into Oblivion’ as I clean the house.